The Adairsville Council coordinates the monthly "Eggs and Issues" Breakfast the first Thursday of every month. Breakfast is free and open to all Chamber Members to attend. The Adairsville Council's goal is to create personal connections in Adairsville and throughout the entire county. The breakfast provides an opportunity to network with other business professionals throughout the community, enjoy a great breakfast, and gain insight into important topics. Meetings are at the NorthPointe Church Meeting Facility off Old Hwy 41 on Orchard Way the first Thursday of each month. Sponsorship opportunities are available. 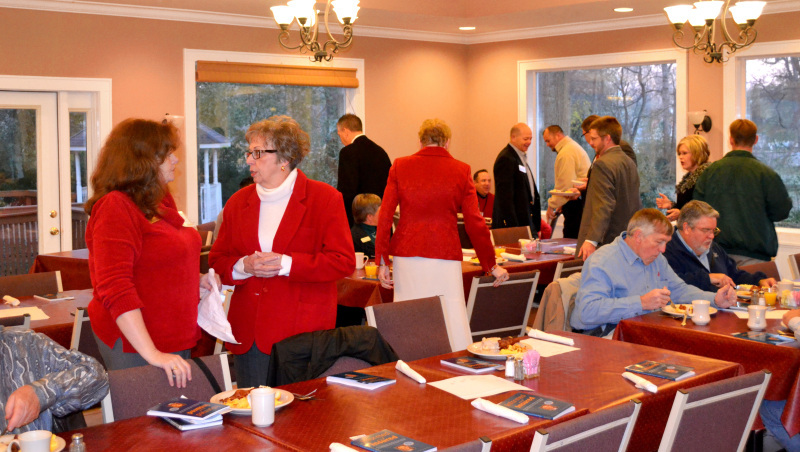 Each monthly breakfast is sponsored by a Chamber Member. For more information, contact the Community Development Director.